Thinking outside of discipline areas and subject benchmark statements for university level education can be something of a challenge – see the HEA paper Interdisciplinarity: A Literature Review by Angelique Chettiparambil Rajan for a discussion of the arguments. In developing our inter-disciplinary approaches we have arrived a position of identifying thematic areas of work activity as a potentially useful approach. For example, the government Every Child Matters strategy requires that organisations that impact upon children, hospitals, schools, police, voluntary groups, etc. to work together in the best interests of the children they serve. Given the above, a work-based degree that uses an inquiry-led approach to learning requiring the learner to identify the issues and opportunities in their work as a focus for their inquiry and then draw upon relevant subject discipline content would seem to be a strong candidate for the idibl framework approach. This is just one such themed example, others that we are pursuing energetically with our work on the IDIBL project include Regeneration, and Learning with Technology. The notion of themes comes from a recognition that however much we value inter-disciplinary learning we need an articulated rationale of why a group of students would chose to learn together through the medium of an online community. Although benefiting from exposure to fellow students from different work contexts, focus of study, etc. community models of learning and arguably networked learning approaches have a greater chance of success when stronger ties or bonds can be developed between learners. I would argue that having a common theme of study helps with this. In practical terms, our open module framework will allow us to readily develop new courses with different themes as demand is identified. This entry was posted in Learning thoughts on February 5, 2008 by Stephen Powell. I used to worry about the ‘why’. Why indeed should people choose to learn in an online community, but don’t you think as younger generations arrive into the workforce, that it wont be a question, rather an expectation that at least some part of the course will involve work in online communities of learning? I don’t remember asking ‘why should I go to lecture hall to learn about my subject’. I went there because of the ‘theme’ that I think your are talking about above, which I agree is essential for online community learning models. 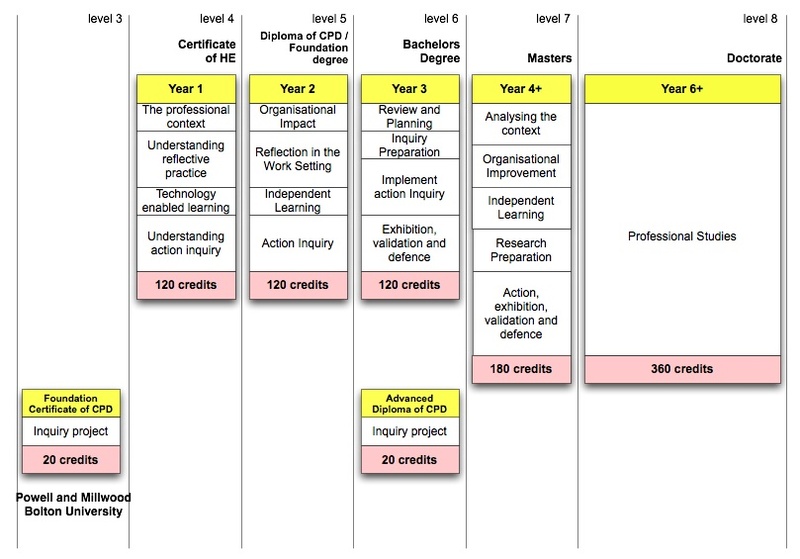 I like your course model btw, in particular the module on Organizational Impact, which I think is key in supporting and enabling the learner’s ambitions of learning in a work context.